Kamikaze were Japanese suicide pilots who attacked Allied warships in the Pacific Ocean during the Second World War. The name means "divine wind" and refers to a typhoon that destroyed an enemy fleet in the 13th century. After the Japanese had attacked Pearl Harbor in 1941 they were defeated in many important battles in which they lost ships and airplanes. During 1943 and 1944 Allied forces were moving towards Japan quickly. They pushed the Japanese back to the Philippines, a group of islands that were very important for them. They were located between the oil fields of Southeast Asia and Japan. During this phase of the war the Japanese were not able to build as many ships and warplanes as they were losing in the battles. They did not have the industries that the Americans did. The Japanese admirals realized that it was almost impossible to win against the Allied troops with few aircraft and not enough good pilots. For this reason the Japanese emperor decided to form a special attack unit. 24 pilots volunteered for the mission. It was their task to crash into Allied ships and kill as many sailors as possible. The first kamikaze attack took place in October 1944. A Japanese plane flew straight into an Australian navy ship, killing 30 sailors. The kamikaze attacks were successful at first. Many pilots were trained to become kamikaze. The Japanese built cheap planes with older engines for these missions. Pilots usually dropped their landing gear after takeoff so that it could be used by other planes. The Allied troops were afraid of these kamikaze attacks because they could not defend themselves against them. 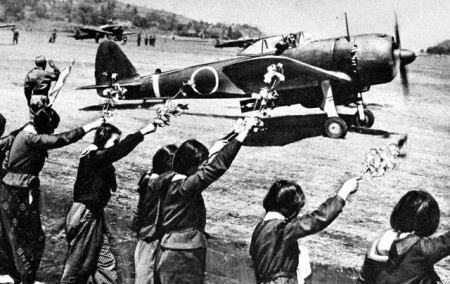 By the end of the war over 2500 Japanese pilots had sacrificed their lives. 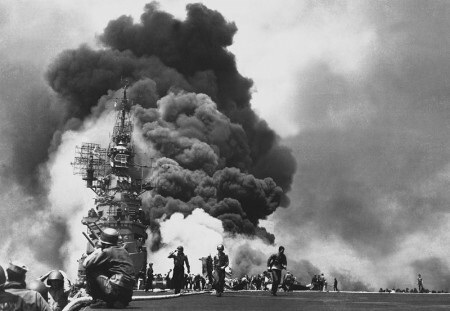 About 5000 American and Allied sailors were killed in the attacks. What did kamikaze pilots believe? Many kamikaze pilots were very young, mostly between 18 and 24. They believed that dying for Japan and their emperor was very honorable. They saw themselves much like the samurai of the Middle Ages, brave Japanese warriors. But not all pilots volunteered out of love for their homeland. Pilots who didn't volunteer were seen as cowards. Some professional pilots did it because they were forced to. Before the pilots went on their missions a special ceremony usually took place. They received a headband with a rising sun made by a thousand women. According to some stories pilots flew around a holy mountain and dropped some flowers before they flew on their last mission, certain that they would never come back again.